Today sees another of my favorite box cards. This time round it is for the new challenge over at Penny's Paper Crafty, where this week we are looking for you creations 'using a sentiment'. 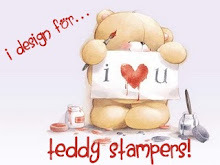 There are 2 sponsors this time round Crafty Sentiments and Deedee's Designs. I got to choose which I'd like to work with, so choose Tool Time from Deedee's. As soon as I say it, I knew I wanted to turn it into a tool box. The panels have been stamped with a wood grain stamp, brown on brown, and then have been run through a wood grain embossing folder to give more detail. Even the support struts are stamped and embossed. Hopefully this will be an ideal card for a D.I.Y. lover. Great box card. I am going to attempt one of these this weekend. You have inspired me. 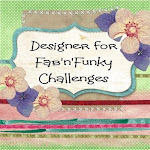 Thanks for joining us at Crafty Cardmakers and More for our no patterned paper challenge. Can you fix it..yes you can! Great box card! This is fabulous Sharon and would suit my SIL, erecting a shed in my back garden as I type, perfectly! Thanks for sharing in my No Patterned Papers Challenge.